As we looked at Voyant in class and now at home this is a very interesting tool. This is something I have never heard or seen before in my years on this earth. I am very impressed by this tool. 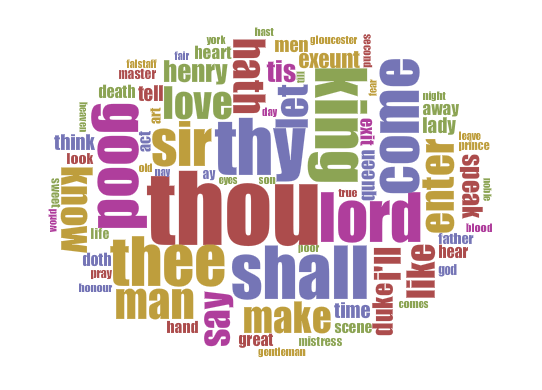 As we saw in class it will counts all the words in a text or even a series of books as we saw with the Shakespeare download and gives us a Word cloud and many other useful tools. In the word cloud the words that are used the most are represented by larger images of the words. It allows us to filter word from the text so we can specifically see at certain words or groups of words. 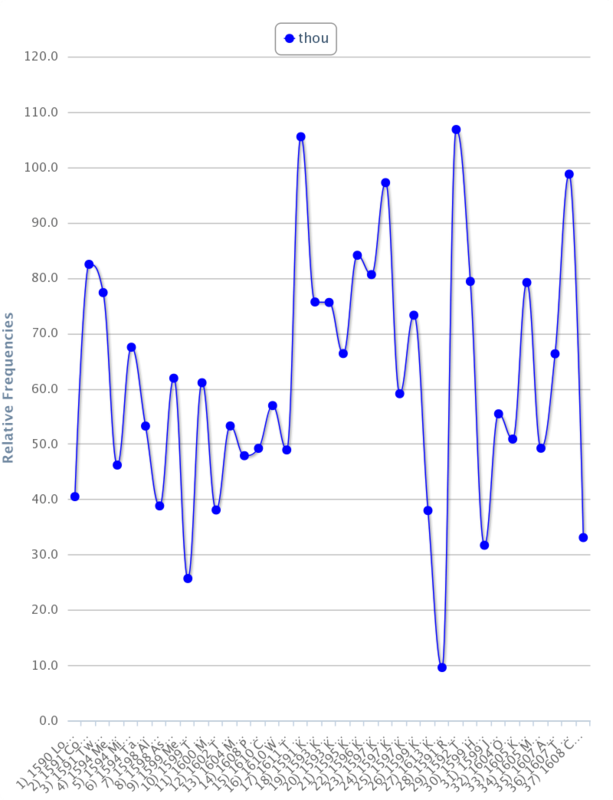 By clicking on a word we can see graphs of statistically information as we seen in all the Shakespeare file. As demonstrated by our Professor with word love. I chose the word “Thou” and have inserted the graph showing the results. This tool I would guess would allow us to do many different possibilities when we are doing research to break down a text in a different way. It allow students a teacher, anyone doing research to see how many times a word appears in a text, we can also by selecting a word click on any text and see the passage where appears. Which will help a person to analyze maybe how the word is being used in a sentence or paragraph. In my scholastic endeavor I am not sure how I will use this other than maybe for our class. It will be fun to play with it.